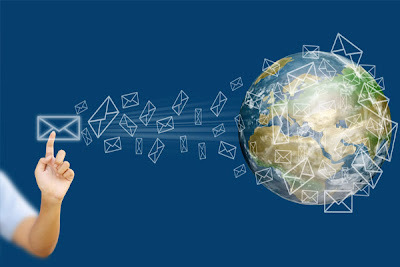 Today’s businesses list e-mail as one of the top tools utilized in order to run their day-to-day operations. It’s just as valuable, if not more so, than the telephone and has become an expected means of communication between a company, their clients, customers, and employees. With that in mind, the idea of that system going down becomes an unacceptable notion. Because of the critical role e-mail plays, extended outages will often have grave outcomes such as unprocessed orders, missed deadlines, and blacked out communications. Having your e-mail go dark affects not only the daily workflow and productivity of your company; it can also severely damage your reputation which ultimately can impact your bottom line. Offsite – For a full disaster recovery solution, ensure e-mail is backed up at an alternate location. Though this typically won’t allow for immediate access to backed up e-mails if there is an issue, it is one of the safest solutions. Secondary E-Mail service – This is true continuity because it stores e-mail messages locally for constant access and relays them through a primary mail server. Typically accessed as a webmail in the interim, certain packages may have all your e-mail available, if needed. Store & Forward – Typically provided by a spam filtering service, it will hold e-mail until your mail server comes back up. However, it does not allow for immediate access. Clustering & Failover – A more advanced solution, it allows for easiest flow when geographically distant. Speak to one of ACF Consulting’s IT specialists to see which e-mail continuity solution is right for you. Do you have any great email tips? Share them below! Contact ACF today to learn more about how you can be ready in the event of a disaster.